The sweet little sister of the classic bbq sauce. The sweetness and fruitiness comes from peach, which makes it an excellent sauce of choice with chicken. Our favorite thing to do is to glaze the chicken with Jävla Sås Bolag Sweet BBQ Sauce just before serving it. 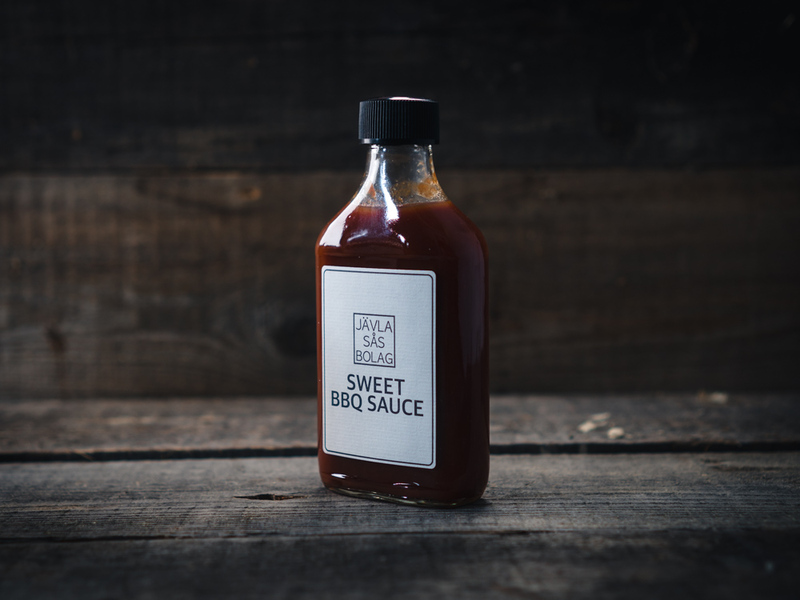 This sauce has also become the crowd favorite among children, so if that’s who you’ll be serving food to, The Jävla Sås Bolag Sweet BBQ Sauce is an excellent choice! INGREDIENTS: Peach Sauce, Syrup, Tomato Sauce, Brown Sugar, Water, Salt, Onion Powder, Vinegar, Pepper Powder, Smoked Pepper Powder, Black Pepper Powder, Mustard Powder, Potassium Sorbate (E202).